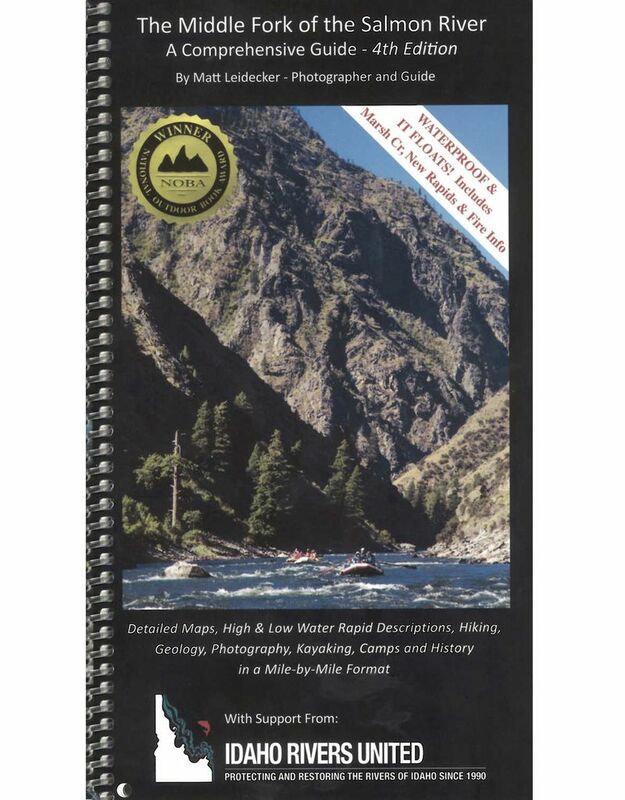 The 4th Edition of Matt Leidecker's Middle Fork of the Salmon River Guide Book delivers mile-by-mile rapid descriptions with detailed maps and photos all printed on waterproof paper. The quality printing and sturdy construction will stand up to the rigors of a multi-day river trip. 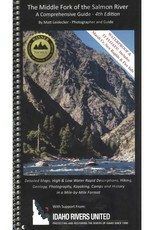 Spiral bound and printed on durable waterproof, tearproof paper, this detailed 110-page guide floats and has all the information needed for a successful Middle Fork trip. The 4th Edition printing covers Marsh and Bear Valley Creeks, updated rapid and camp descriptions, maps with fire scar and landslide overlays, as well as historical information on early mining, settlement, fires and climate. The color topo maps are created from the National Geographic TOPO software in 1:15,000 format with added rapid, camp and historical landmarks locations. Includes permit information, fishing, camping and other trip planning tips, over 130 side hike options and GPS coordinates for all campsite locations. Twenty-one pages of geologic history and mile-by-mile lists of creek blowouts and geologic events.